Remember this cool movie about the guys from MIT who beat the casino, counting the cards on Blackjack? Today we will look in detail at how they did it and how other pros count cards to this day, as well as why in online live casino it is not worth doing. What you need to know, in order to play, counting cards in a Blackjack? 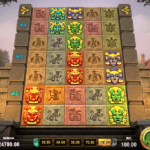 The first - of course, you need a strategy of the game. 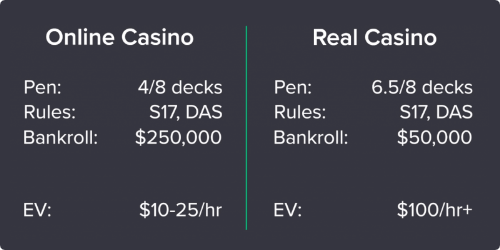 Counting cards is one thing, but you need to understand how to place bets and what decisions to make in different game situations. For example, what to do when you have 13 against a dealer’s 10?  We understand that in this example, everything is quite obvious, however, decisions must be made automatically in any situation on the table, without wasting time or attention. After all, you have to keep many things in your head at the same time besides counting the cards themselves. MIT players used a basic strategy. The first thing they did was memorize this tablet, like multiplication table. 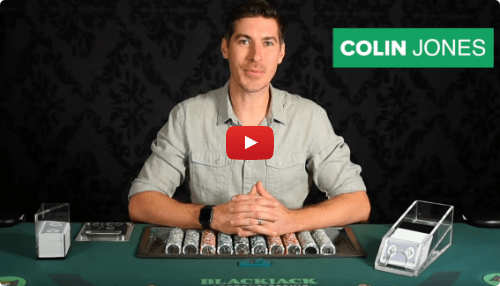 Colin Jones a professional player who runs a website and a blog on the topic of counting cards when playing Blackjack, argues that one of the major mistakes of newbies is the use of too complex strategies for both playing and counting cards. So, we already know what decisions to make in different game situations. Now let’s proceed to the card counting. 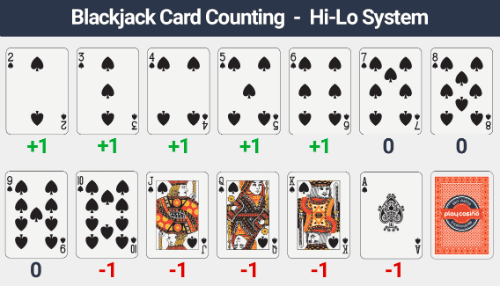 As mentioned in the Jones video, we will use the card counting strategy, like the MIT students, which is called Hi-Lo. The point is simple: with a low card (from 2 to 6 inclusive), we add a point, but we cancel it with dozens and an ace. We do not take into account only 7, 8 and 9. These cards are considered as zero. The counting of cards is trained as follows: when opening one card from the top deck of one deck, the player counts the cards as quickly as possible until one card remains in the deck. Then counter must say which card is left - Hi or Lo, well, or neutral. The point of counting is to determine when high cards, that is, a dozen and aces, are left more in the shoe dealer, which gives the player an advantage over the casino. I.e., you need to wait for a positive score, with its increase, the chances of the player are increasing too. 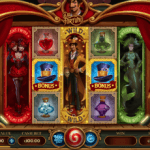 After all, the score increases when small cards come out of the game, respectively, there are more large cards left in the shoe, and this is “good” for the player. 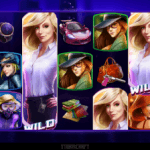 Of course, it is worth remembering that in different casinos a different number of decks is used during the game, as well as the fact, that only some of these decks are distributed, and some are not. in a casino in real life, in my city, 8 decks for Blackjack are used. The dealer mixes them up, gives the player to cut, and then with a split card cuts off part of the deck which will be distributed, which is about two-thirds. That is, only two thirds of cards of the 8 decks will participate in the game. So, we need to make an amendment to each particular casino when counting cards. Usually the casino does not hide how many decks it uses when playing. For a player, the smaller the decks, the better. We need to roughly understand how many decks are left in the game to make the necessary amendment. To do it just look at the tray, where are the out of game cards and think about how many decks there are. Subtract them from the initial number of decks. Now divide the current account by the number of remaining decks in the dealer shoe. 6 decks are used in the game, one deck is already out of game, that is, there are 5 decks left in the shoe. let’s say, that current account is 15. We divide 15 by 5 and we get the so-called TRUE COUNT, that is 3. 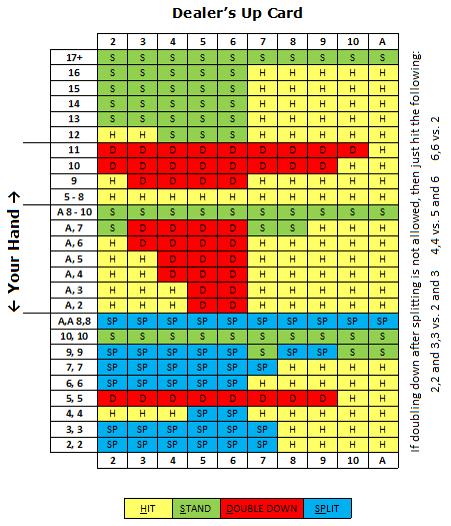 So, we reviewed the basic necessary knowledge for the player who wants to count cards in a Blackjack. Let's talk now, why counting cards in live casinos is not a good idea. Firstly, is the difficulty to find an appropriate casino. In some casinos, each distribution takes place with a new deck, that is, the dealer changes the deck every distribution, and in some casinos, only half of the decks for the game are cut off with a split card, which also kills the whole thing. Secondly, is unrealistically slow distribution. In real life, distributions take place twice as fast, especially when there are few people playing or one at all. In live casino passes about 50 hands per hour, which also kills the idea of ​​counting cards, because the slower the game, the less your EV per hour. In general, for practice, you can count cards in live mode, but it is not particularly appropriate for profit. And why, when there is a usual casino.